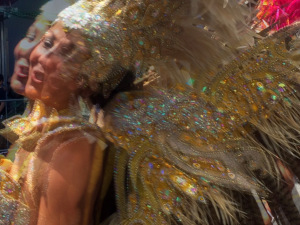 3 Responses to Carnaval San Francisco! Even little Denmark celebrates carnival. It was started by an English artist 1981 in Copenhagen and 1983 the city of Aalborg followed the example. The ancient festivals of greeting the lighter days and banning darkness were held in February, but for carnival they chose May/June because of the weather. So there isn’t any religious connection to carnival in Denmark. Similarly here the present carnival tradition was an adaptation of Caribbean ones (mainly Jamaican and Trinidadian by those missing “Mas” from their former home) postponed till August because of the weather (Notting Hill Carnival), but joining a panoply of pre-existent (rather strange) celebrations that had been going for hundreds of years (W Country Cheese Rolling for example).